As we’d expect for the price, the K-70’s body is constructed mainly of plastic; it has a softer, more rounded look than the angular K-S2. 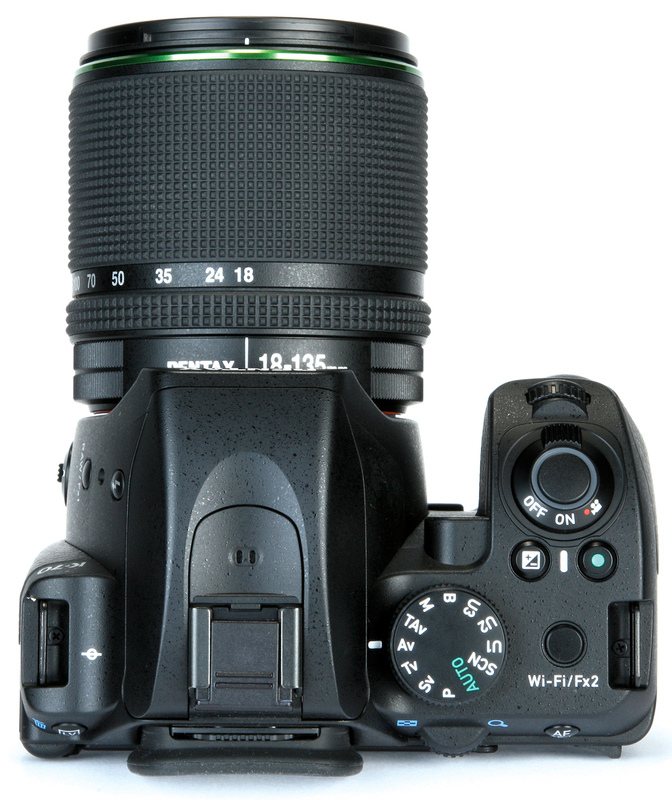 There’s nothing to complain about in terms of fit and finish, and unlike its rivals the camera is dust and splash-proof when used with one of the wide range of WR-designated Pentax lenses. The K-70 is unusually shaped, with a small frontal area but larger-than-usual depth from the lens mount to the screen, to accommodate the image-stabilisation unit. Its grip is also very large – almost 3in deep front to back – which will be welcome to those with larger hands. The chunky rubber coating and pronounced ‘hook’ for your middle finger gives a very secure hold, especially with larger lenses, and I was quite happy to carry the camera around one-handed for extended periods, which isn’t often the case with small DSLRs. The large grip gives plenty of space for controls, and the K-70 makes use of it by including twin electronic control dials front and rear, in contrast to most other cameras at this price point which usually only have one. The front dial is placed rather far forward of the shutter button, while the rear dial is perhaps too close to the viewfinder, so operating them can be a bit of a stretch. But usefully, their functions can be customised for each exposure mode, which is unusual at this price and means photographers should be able to set the camera up to their liking. Like the K-S2, the D-pad on the camera’s back serves double duty. The directional keys provide quick access to ISO, white balance, flash and drive modes, but can be toggled to give direct control of the AF area by holding down the OK button in their centre. I find this to be a great system compared to either the Canon EOS 750D, which requires lots of thumb movement to move the AF point, or the Nikon D5500, which demands extra button prodding to change those secondary settings. Perhaps the K-70’s best feature, though, is the Info button on the back. Pressing this calls up a grid of a further 20 settings that can be changed by selecting the relevant icon and rotating the rear dial. It’s simply laid out and easy to understand, and means you’ll only rarely have to venture into the menus. Alongside the usual set of exposure modes, the K-70 incorporates some that are unique to Pentax. The TAv mode lets you fix the shutter speed and aperture, then have the camera adjust the ISO to match, taking into account any exposure compensation you wish to apply. Other brands now offer much the same concept with auto-ISO in manual-exposure mode, but the Pentax approach is arguably more logical.